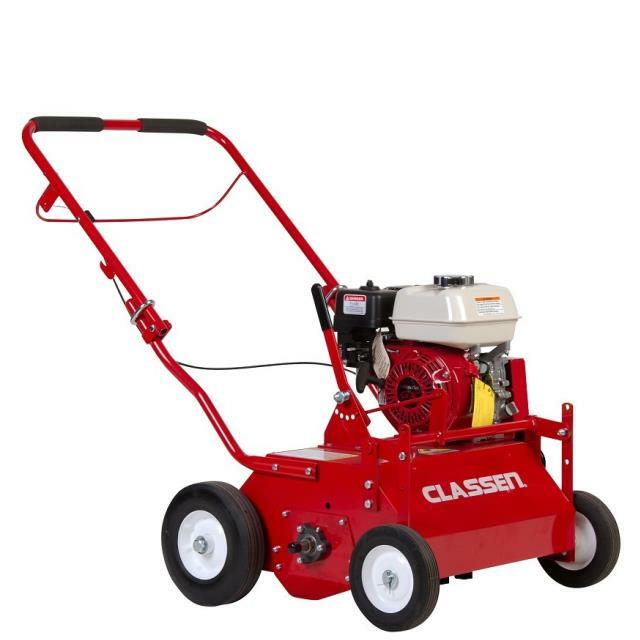 Dethatching machines are power rakes with blades that cut through the thatch, loosening dead and live organic material and bringing it to the surface of the lawn. Depth Adjustment 6 Presets +1" to -1" at .25" Increments. * Please call us for any questions on our dethatcher lawn rentals in Dallas, Fort Worth, Arlington, Grand Prairie & DFW Metro Area.